Stella Xia, 13, is the winner in the Grades 7 to 9 category of The First Page student writing challenge. Taxidermied by Stella Xia is the winner of The First Page student writing competition in the Grades 7 to 9 category. Students across Canada wrote the first page of a novel set 150 years in the future, imagining how a current-day trend or issue has played out. Nearly 2,400 students submitted their stories. 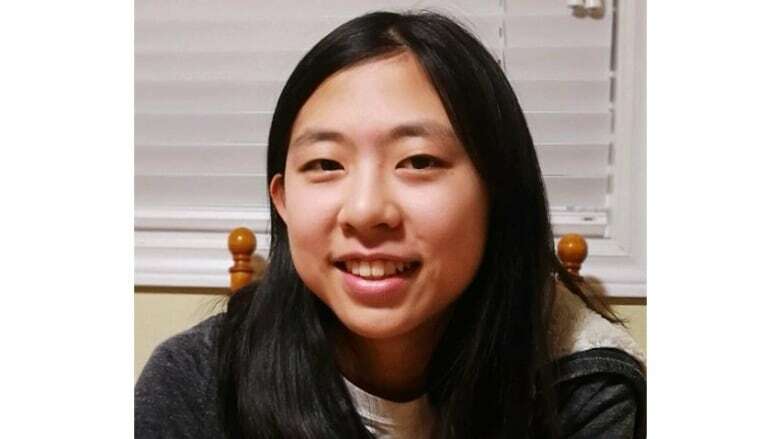 Xia, a student at Tomken Road Middle School in Mississauga, Ont., tackles deforestation and "the ignorance of humanity" in Taxidermied. I can see, now, why the ticket bot warned me to stay on the path. The trees are rigid statues, their arrangement deliberately random. If an errant breeze strayed inside the climate-controlled bubble, the whole expanse might go toppling down. The lack of commotion is unnerving. There is no ever-present hum of electricity here, no angry drivers. Nothing except the crunch of my feet on the pristine gravel road. Animals that should be scurrying in the underbrush stand taxidermied in plain sight, counterfeit spirit bottled in beady eyes. Surely, this is not the replica of nature that they advertised. This diorama pales to my grandmother's vivid descriptions of forest floors. Has it been so long since a real tree stood that we've already forgotten what they look like? This falsehood is a mournful eulogy of what used to be, written all over the fake snow-covered leaves. "Did you enjoy your visit?" a service bot asks me as I step out of the greenhouse. "It was splendid," I laugh. I can still feel the coolness of mist clinging on my skin. There was an international funeral procession the day the last tree died. We carved its stump into a replica of Earth; a singular, looming grave amongst the dead grass. The Nature Era — another one for the textbooks. I wait for it to process my sarcasm. "Oh no! Where did we go wrong?" Its pixelated eyebrows curve down in disappointment. "Maybe we went wrong the day we invented industry," I start, spit flying from my consonants. "Or the day scientists warned of deforestation, and we did nothing to stop it. Or the day people realized they could exploit the lack of nature for money." Humanity is a delicate ship, and ignorance conquers all — each day a fraction harder than the last, another millimetre of water. All the advancements in technology, and not one can save us from sinking; from the blind lookouts to the deaf captains. We don't prevent holes, we patch up the existing ones with bandages and paper towels, then proceed to ignore them forever. Our ambitions sparkled in the horizon, and we gave everything up to chase them, despite being neck-deep in water. And you know the sad thing? It isn't only the trees. "Your feedback will be taken into consideration, as always. Come again soon."